Christmas treats with Prestige Flowers.. I know I’m probably not the only girl to say I absolutely love flowers. 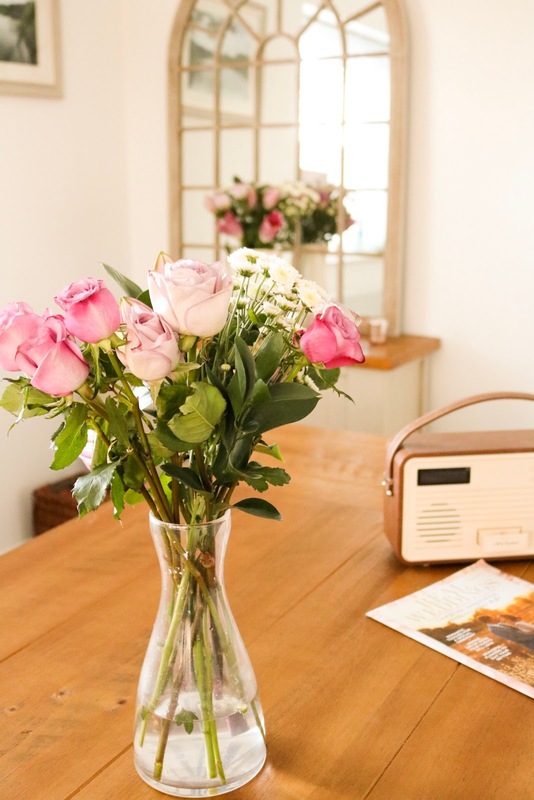 I always try to keep fresh flowers in my living room and kitchen because I just feel as though they make a room fresh and bright. Even if said room is full of toys and colouring books ha! You may have noticed I worked with Prestige Hampers a few weeks ago as part of their Christmas campaign, so when they emailed me regarding their sister company Prestige Flowers I was delighted, who doesn't love pretty flowers?! 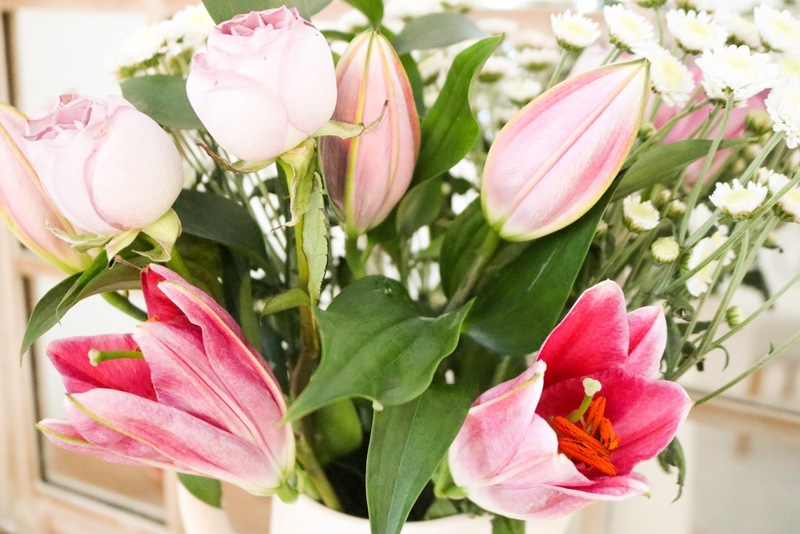 This particular bouquet is the Luxury Delight bouquet and is perfect for me, pink and lilac roses (apparently called Memory Lane roses and Deep Water roses) and pink Stargazer lilies. I couldn’t fit them all in one vase which is why I split them up! In all honesty, I wouldn’t usually mention the same brand in such a short space of time, however I think the thought behind these particular flowers is amazing and I’m sure anyone reading would agree. 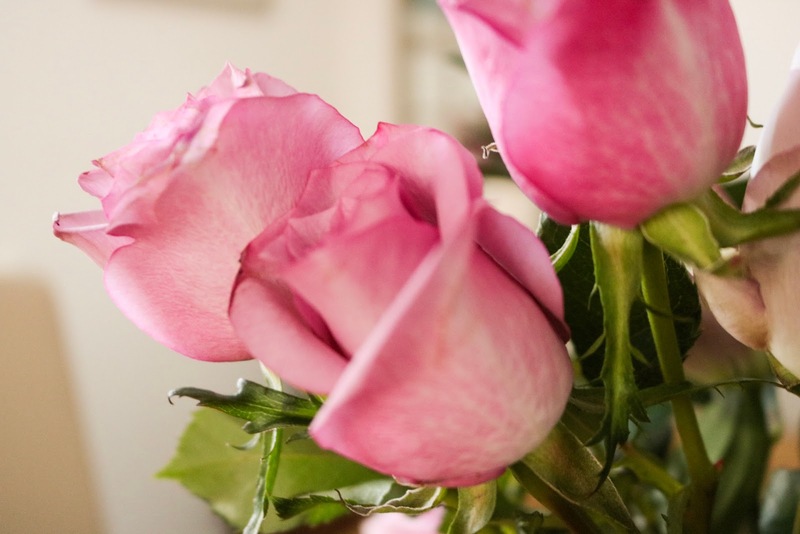 Prestige Flowers have 11 bouquets in which 25% of the cost is donated to Cancer Research. Over the past year, they have raised more than £11,000 for the charity. How amazing is that?! I love hearing of brands making changes like this in order to raise money for good causes. And it’s also an added bonus for anyone ordering them because they are in fact helping the charity too. If you are already a customer of Prestige Flowers or was thinking of ordering from them, make sure you look for the Cancer Research sticker on the website next to the chosen bouquets if you’d like to help raise money too. *this post contains gifted items however all opinions are my own.